Well its here. International Anita Brookner day has arrived on the authors 83rd Birthday, so wishing you a very happy birthday Ms Brookner. 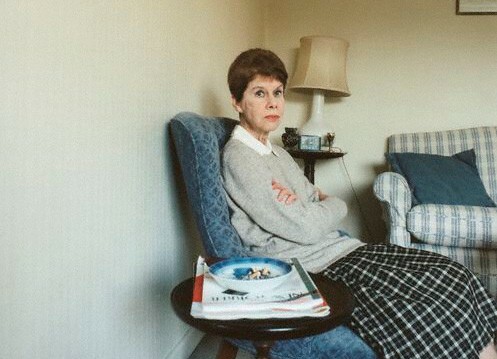 I know she knows about the day, her publishers told me that she was ‘tickled pink’ so I hope that they go over to the official International Anita Brookner Day blog and see the posts that you have done from all over the blogosphere and all over the world. I want to say a huge thanks from me and Thomas (who has even tried to get his dog, the lovely Lucy, to give one of her books a whirl) for everyone who has joined in. I also want to take time to thank Thomas who took a comment I made in an email and made it real and has been much better than me sorry brilliant at push and mentioning the event and making the awesome logo. What a star! I am organising him a little special something to say thanks. Anyway back to business. Today you can expect me to be popping over to the IABD blog and leaving comments (and playing catch up) on all the posts, I have a post called ‘Anita and Me’ arriving later on today, and if I can finish it, and I am really trying to, another Anita Brookner review of another Anita treat. So let me know if you have written about her, so I can doubly check that I have read your lovely posts, and enjoy the day. If you still haven’t tried her yet I hope you are enticed. See you on the IABD blog during the day, looking forward to it. You may remember that Thomas of ‘My Porch’ and myself are having a special day celebrating all things Anita Brookner. I decided I should get a few read in the lead up, and the first of those was ‘Look At Me’. It’s always interesting when you have decided you are going to do a challenge, and the same applies to some Daphne Du Maurier reading I will be doing for another venture, you become rather worried that the next book you read by that author will put you off, especially when all the ones you have read so far have been a real joy. Well, I admit that after a great first paragraph, with the brilliant first sentence ‘once a thing is known, it can never be unknown’, I was actually seriously worried that I was going to loathe ‘Look At Me’ from its first five or so pages. The term wading through treacle springs to mind, endless paragraphs on depression, melancholy, death and lunacy. It wasn’t looking good. Thank heavens then that I decided I would give it a first chapter then, because in a single page I was rewarded by some of the types of prose and characters that I have experienced and loved in Brookner’s work before. So what is the subject of ‘Look At Me’? It is interesting that the initial part of the book that bored me with the descriptions of depression and melancholy are in a way what this book is about. In fact I think the best way to describe, our narrator, Frances Hinton’s life is a solitary one, and one that Brookner can do so well. Frances admits that her life is one lived very much alone, where she lives is ‘for old people’, and really for the main the most interaction she has is with her colleagues and that’s how she befriends Nick and his beautiful wife Alix and then becomes adopted as their ‘pet project’. That’s all I am going to give you in terms of plot because really with a slim volume of 192 pages, if I said too much I would give everything away and you wouldn’t then be put through the emotional (both high and low) wringer that Brookner has in store for you and that would very much be to the detriment of ‘Look At Me’. It’s a book you need to read in order to actually experience it. I don’t know if that’s enough to satisfy you and ponder giving it a read but I do advise that you do. Brookner is on fine form (well after the initial hurdle) in this book and everything after the awkward start makes up for it without question. Frances is one of Brookner’s wonderful heroines who starts out a little acidic and brittle and yet slowly wins you over. It’s also interesting to watch a character like that unfold, and possibly even unravel. I don’t know why but I think the fact that she is writer made me like Frances all the more. I did wonder if there was an autobiographical note to this book, maybe that’s just clutching at straws though. I also loved Nancy, Francis’ maid, who it seems loved Francis’ mother, who hired her, and far more than Francis did and won’t let her forget it. The background characters are always vivid and fully formed another thing I love about Brookner. This book is one I bought second hand many moons ago. I am hoping that has wet your appetite, or wet it further for ‘International Anita Brookner Day’ which is now mere weeks away. If the selection of her prose above wasn’t enough, pop to the post below and you will see that there are some other incentives to read-a-long on July 16th! There is of course the possiblility you have read this, if so what did you think? Can any of you recommend which direction I go next with Brookner? I am sure it will be a joy whichever path it takes me down. Oh and who is joining in with International Anita Brookner Day, do let me know. I mentioned over the weekend that I was in the mood, and in terms of research in need, of reading more female written fiction over the coming months. I am taking up my own mini challenge of reading as many of The Orange Longlist as I can and with my place on the panel at Lucy Cavendish College in Cambridge’s ‘Women’s Word’ festival discussing men’s reading (or the case of lots of them not) of women writers I wondered if you could tell me some of your favourite female writers. Well I have taken up a small mini challenge with the lovely Thomas of My Porch in order to co-host a day when we celebrate a female author we both really admire and that is Anita Brookner and we would love you to join in. 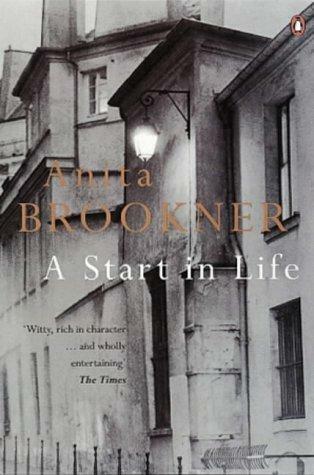 Last year after I read the stunning ‘A Start in Life’ which has stayed with me ever since, I emailed Thomas about doing something Brookner based, maybe Anita August or some such. 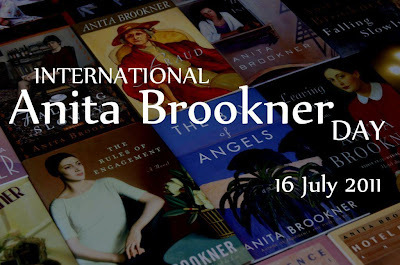 However life, as is often its want, got in the way and nothing quite came to fruition… until earlier in the year when Thomas emailed me and now we are having a single day dedicated to the lady herself and ‘International Anita Brookner Day’ was born. (And it is international as Thomas and I are on completely different sides of the Atlantic and we are hoping you all join in from all over the world.) Its single aim is just to get more of you reading Brookner’s work. So what do you have to do to be involved? One single thing is all that is required, simply read one of her books by the 16th of July 2011 (which will be Brookner’s 83rd Birthday) and tell myself and Thomas about it and we will link you and your thoughts whilst doing some posts of our own on the day, and hopefully (if I can make it happen) we will have some lovely international giveaways. So far Thomas has been much more ‘Brookner busy’ than me coming up with a wonderful button for the day (see above) and also a list of all her works you can choose from and where to head. I am pleading sickness as a reason for my slowness in mentioning all this, but better late than never. If you are wondering ‘why on earth should I read Anita Brookner?’ the answer simply ‘you just should’ yet is a hard one to put my finger on instantly. I would say it’s a certain quiet writing charm. Some people find her depressing, which I can see as she is quite melancholic sometimes but its immensely readable. She’s understated, she’s subtle, every word counts and her books are about people and places rather than an overwhelming plot. If you like your books with plots fear not though, they are there. I haven’t read a huge range of her work as yet, though the ones that I have read have been stunning and over the last couple of years since reading her Booker winning ‘Hotel Du Lac’, which charmed me instantly, I have been buying her back catalogue as and when I see it. I now have the perfect chance in the lead up to July the 16th to devour the ones I own which are ‘Altered States’, ‘Falling Slowly’, ‘Latecomers’, ‘Look At Me’ and ‘The Bay of Angels’ though you know what I am like, I will be using this as an excuse to get all the ones I don’t have in the lead up to it too and reporting back on them, and reminding you to get reading her too. So will you be joining us, I do hope everyone who pops by Savidge Reads will, and which of her 24 titles might you choose? I was looking for something short and sweet to read the other day and after perusing my immediate TBR I was shocked that nothing new seemed to leap out at me (more on that tomorrow). I decided I would have a look at who I read last year and had been meaning to read again and decided on ‘A Start in Life’ by Anita Brookner. I really enjoyed her subtle Man Booker Winner ‘Hotel Du Lac’ and so wondered if her debut novel would have the same success with me. ‘A Start in Life’ is really the tale of Ruth Weiss and as we meet her she seems to be undergoing some sort of mid life crisis all of which she blames on literature in the wonderful opening line. ‘Dr Weiss, at forty, knew her life had been ruined by literature.’ From this point of her realisation of this we are taken back through Ruth’s childhood at Oakwood Court, her schooling days, life in London and Paris and onwards meeting her family friends and lovers along the way to find out why. There is a plot to the book as it is based on one woman’s life and the experiences she has. However its not plot driven, really it’s a book that through some rather wonderful characters looks at many different themes. For example through George and Helen, Ruth’s parents, you are given the story of both the aging process and some of its perils and marriage as it goes through several decades. Anthea who Ruth meet’s at school illustrates the varying emotions, protectiveness and competitiveness of friendship. Through Ruth’s varying relationships we see differing views of love and their effects on people. In fact really to show you just how good Brookner is, and remember this was her debut novel, with characters I found a brilliant short description of the Weisses new live-in maid that sums a person up in a paragraph. ‘So they got a woman in, a Mrs Cutler, ‘our darling Maggie’, as Helen instantly called her, a wry, spry widow, quick to take offense. She served meals at unpunctual intervals, so that Ruth always found herself too late or too early, kept the radio on while she worked, and smoked all day.’ Brookner does this with characters quite often or will cause a situation where one line or action defines a character who is new into the story. I can see why some people say that Brookner should have been writing in the 1930’s because it has that feel and charming appeal. I think this book is actually set between the 1960’s and 1980’s but it could be right now even though it was written in 1981 (it’s aptly called ‘The Debut’ in the US). I am really shocked to discover that many of her books are now out of print because with stories and characters like these they are begging to be discovered. Maybe I should start some kind of Brookner campaign? If you haven’t read Brookner then I think you should definitely give her a try, I will definitely be reading much more of her work over the coming months as when I was allowed to bookshop, all those months ago, I had a lot of second hand success with Brookner and got lots of books, including this one, for 50p each, a bargain for such a pleasurable read. I am hesitant to say I have found a new favourite author but it mightn’t be far from the truth. Who else has read Brookner and loved her (if you didn’t your not welcome in these parts ha, that’s a joke) what other books of hers should I try and find? I don’t know if I included this in the photo’s from yesterdays blog (see below) but I also bought ‘Hotel du Lac’ by Anita Brookner as I am slowly but surely determined to read through all of the Man Booker Winners and this was one that I didn’t own already. It being so short and having heard very mixed reviews I sadly admit that I wanted to read this straight away to ‘get it out the way’ which just goes to show you should always start a book with an open mind as you might just find a diamond before you. I absolutely loved Anita Brookner’s 1984 (I was two when this won) Man Booker Winner, seriously loved it. I can easily imagine this becoming a slightly underground classic in the future as the characters and story are just wonderful. Hotel Du Lac is the story of Edith Hope as she takes a break from the world and her writing of mildly successful romance novels. She has, it unfolds, been sent away by her best friend Penelope Milne who she is in disgrace of (along with a fair amount of her social circle) and would only be forgiven if she went to Switzerland to “disappear for a decent length of time and come back older, wiser and properly sorry”. If you loved that line, like I did, then you will love all of the wording and wit Anita Brookner provides throughout a mere 180 pages. Of course you then want to find out just what disgraceful act Edith has been apart of and as the novel and her character develop you soon realise it could be more than one thing. Once she is in the hotel though you also want to learn about all the stories of the other random guests who are staying in Switzerland ‘out of season’. There is the fabulous Lady X or ‘the lady with the noisy dog who smoked endlessly and ate only ice cream and cake’ who we learn to love and learn her real name is Monica, sent by her husband to stop eating and loose weight. We also meet Madame De Bonneuil who has been dumped there by her son who visits once a week whilst he and his wife, who hates her, spend all her money and live in her fabulous mansion. There are the fabulous and incredibly wealthy Iris and her daughter Jennifer Pusey who have come merely to shop… endlessly, and drink unbelievable quantities of champagne and gossip. They also like to think they are talk of the town and whilst Iris is her daughter Jennifer “inexpressive as a blank window” doesn’t seem to be following her mothers lead, though there is a dark twist where she is concerned. One final quest is Mr Neville who claims himself ‘a romantic’ and thinks he knows just what Edith needs to sort her life out if only he can show her. As the obvious romance story evolves between the two characters I was initially touched and then started to get very disappointed in where the novel might be leading. I shouldn’t have worried as Brookner pulls out a very final and very clever twist as well as finally letting us in on Edith’s past. 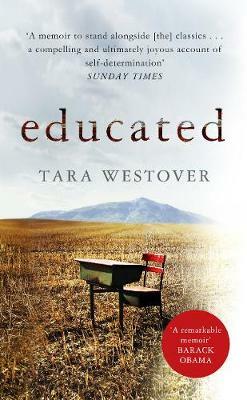 I actually hugged this book when I had finished it and really wanted to start the whole thing all over again. It reminded me of the wit of lethal wit, scandal and romance of a Nancy Mitford novel only with modern twists and turns. It also looks at the roles of women at a time, I am guessing it is set in the late sixties early seventies though you are never sure, when rules and ways were changing and they had more options yet weren’t really meant to use them. All in all this was a short riveting funny and clever novel and what in my eyes isn’t what a Man Booker Winner is normally like. If the judges were to choose a ‘Man Booker Dozen’ filled with novels like this then I would read the whole long list without stopping. There will be more on this year’s long list another though as am doing something special the day before it is announced, so watch this space.